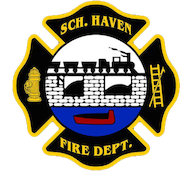 May 2, 2014 – At 01:44 the SHFD Rapid Intervention Team was dispatched to a working structure fire in the Borough of Hamburg (Berks County). Crews arrived on scene and assisted all operating units with fire suppression and the overhaul of a working row home fire. All SHFD units were on scene for approximately 3 hours.